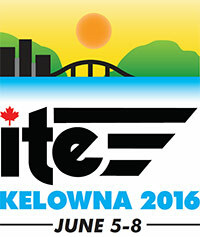 A big THANK YOU to everyone who made the 2016 CITE Annual Meeting and Conference in Kelowna, BC a success. We welcomed over 300 delegates and were treated to the hot and sunny weather that makes the Okanagan Valley famous. 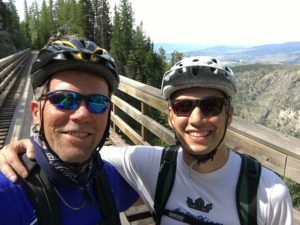 We had so many memorable moments including our spectacular bike tour on the Myra Canyon Trestles, another exciting Traffic Bowl, engaging technical sessions and tours (that included a “pool-side” conversation circle – it must be a CITE first! ), and plenty of fun in between. We hope everyone made the most of this opportunity to re-connect with old friends and to make some new ones. Thanks to our amazing Local Arrangements Committee (LAC) for all their hard work pulling such a great event together, to all our generous sponsors who made this event possible, to our speakers/moderators/exhibitors/tour facilitators, and to all our delegates for your passion and participation. We are all left inspired to continue moving our profession forward. Take care friends and we look forward to seeing you all in Toronto!